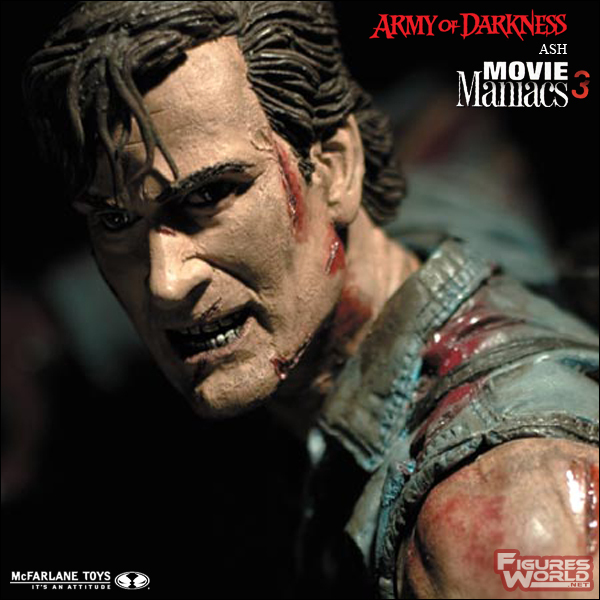 Since its inception, the Movie Maniacs series has been one of McFarlane Toys' best-selling lines. 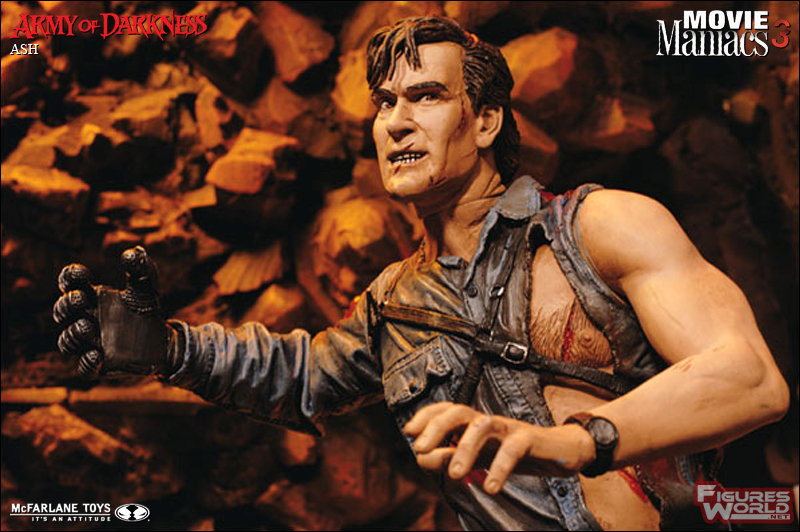 We've taken a few more chances on this third series of figures, incorporating characters that go beyond blood and gore into other realms of madness. 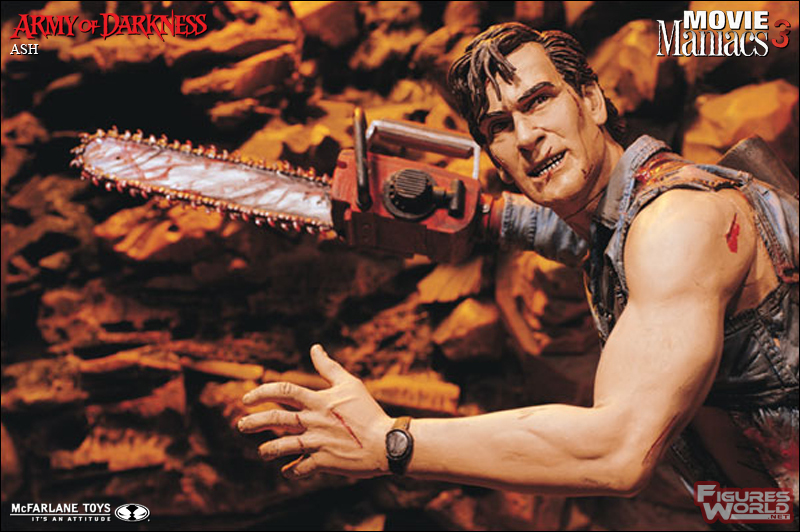 Still, all the characters are maniacal in their own way. "Good ... bad ... 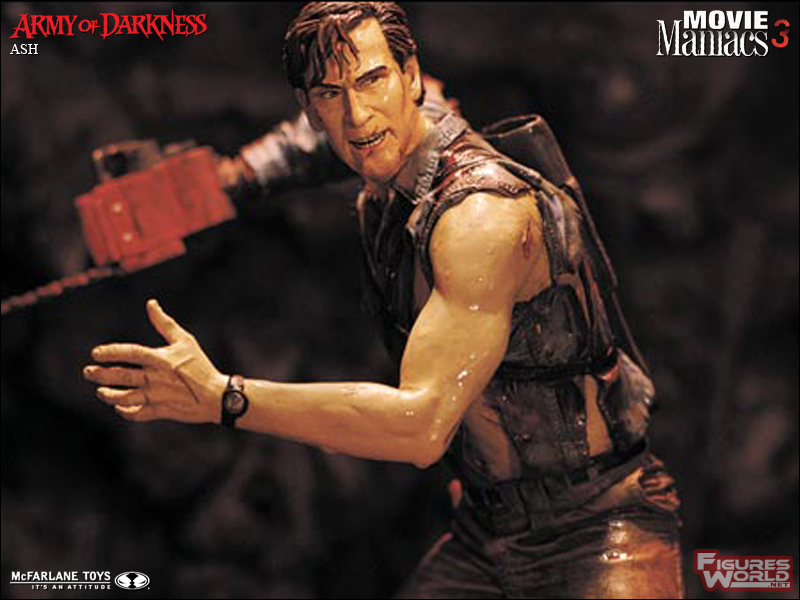 I'm the guy with the gun." 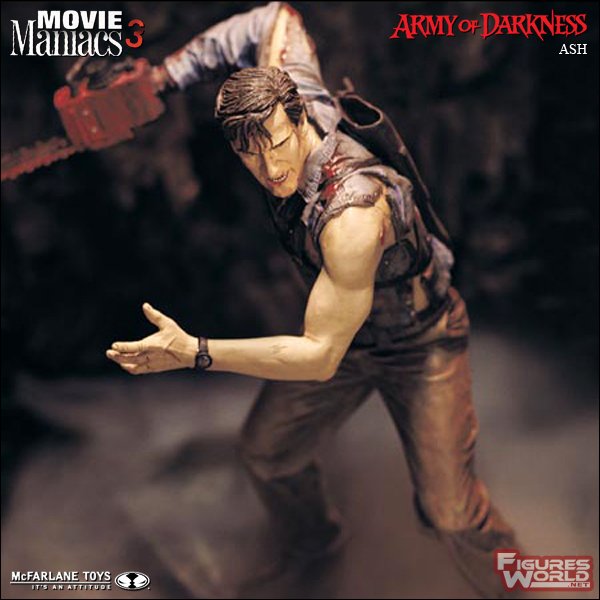 So speaks Ash, the swashbuckling anti-hero of Sam Raimi's Army of Darkness, a character McFarlane Toys fans have been clamoring for. 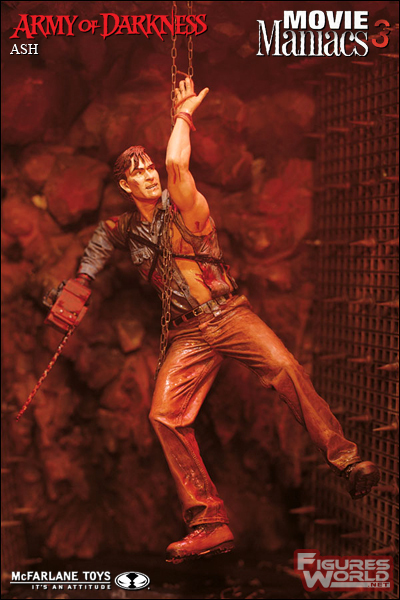 The Ash figure is 6 7/8 inches tall with eight points of articulation. 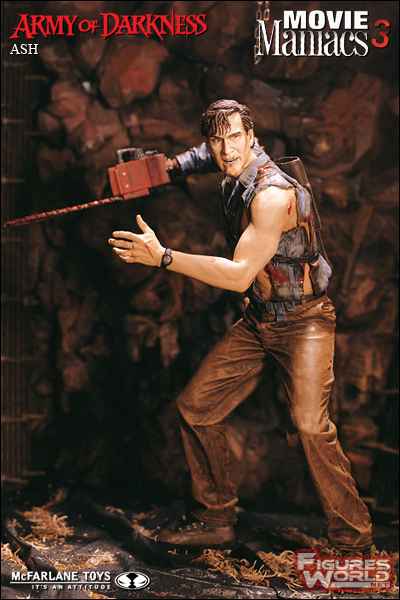 He is packaged with a mini-evil Ash from the film, a shotgun, chainsaw, gauntlet glove and Book of the Dead.